When it comes to Marc Romboy and electronic music, he has pretty much been there and done that. Over the course of the last two plus decades, the German born DJ, producer and label boss has become synonymous with a soulful, vocal infused house and techno sound that has taken him all over the world. As well as releasing on only the most influential labels, from Ovum to Gruuv, Planet e to 20:20 Vision, he is also the sole mastermind behind the influential Systematic Recordings label and has been since 2004. That label is home to established artists like Blake Baxter and Booka Shade, Robert Babicz and Stephan Bodzin, but it is Marc’s own output that most defines it. 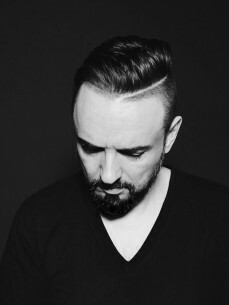 Nowadays an album specialist, 2013 saw him release the captivating "Taiyo" (an album made in collaboration with Japan’s Ken Ishii that married Marc’s hardware techniques with Ken’s love of digital synths to stunning effect) whilst a year later came Shades, a personal compilation of new tracks, career highlights and standout remixes. Despite being a key player for so long, Marc is still as relevant as ever and remains right at the sharp end of electronic music. Proof of that comes in the form of his DJ schedule, which takes him from Fabric to Fuse, Berghain to Rex, as well as to not one but two separate Boiler Room shows. The first was solo in Berlin, the second was a b2b with frequent sonic sparring partner Stephan Bodzin in Sao Paolo. Both proved Marc to be a dexterous DJ who never relies on obviousness or gimmicks, instead telling truly musical stories that place dancers right at the heart of the action.